This is a telephone interview with Diane Cooper which took place just prior to Drunvalo’s travels to Europe in March 1999. Because Drunvalo was excited about so many things we chose to focus on one of Drunvalo’s favorite subjects... children. Diane: So Drunvalo... who are these "Children of the New Dream" that you are so excited about? Drunvalo: Well there are 3 different kinds of children emerging in the world today that I have been able to identify. The first one, the "Super Psychics of China", we talked about in the Flower of Life seminars. If you remember, the first one was discovered in 1984 when a child was found who was psychic beyond belief. Researchers conducted every psychic test you could imagine and he was 100% correct every time. You could turn cards over in another room and that didn’t matter. He could perfectly know what was on the card. They did test after test, and the response was flawless. The phenomena didn’t stop there. These kids are not just in China. They have spread all over the world. I personally have been talking to parents who ask me, "...what do we do.. I have a kid who knows everything?" I believe Lee Carroll is calling the children being born here in the U.S. "the Indigo Children". I personally think the two groups are coming from the same source, however, I don’t know that for sure. There appears to be two separate groups, incredibly psychic and amazing. It is the third group that I am most interested in - the Children of AIDS. About 10 or 11 years ago in the US, there was a baby born with AIDS. They tested him at birth and at 6 months and he tested positive for AIDS. They tested him a year later and he still tested positive. Then they didn’t test him again until he was 6, and what was amazing is that this test showed that he was completely AIDS free! In fact, there was no trace that he ever had AIDS or HIV whatsoever! He was taken to UCLA to see what was going on and those tests showed that he didn’t have normal human DNA. In the human DNA we have 4 nucleic acids that combine in sets of 3 producing 64 different patterns that are called codons. Human DNA all over the world always has 20 of these codons turned on and the rest of them are turned off, except for 3 which are the stop and start codes, much like a computer. Science always assumed that the ones that were turned off were old programs from our past. I’ve always seen them like application programs in a computer. Anyway... this boy had 24 codons turned on - 4 more than any other human being. Then they tested this kid to see how strong his immune system was. Drunvalo: Well, it’s mostly children, but now they are finding adults with it too - just like the hundredth monkey theory. Now all kinds of people are being affected by it and it’s spreading fast. Remember, it started just 5 years ago with almost no one and now it’s spreading - just like a disease. It’s like an outbreak and this is only the beginning. The other part of this concerns the new book entitled "Cracking the Bible Code" - which has to do with running the Hebrew Books of the Bible through a specialized computer program. If you go to page 164 of this book, it shows where these researchers put the word ’AIDS’ into the program to see what would happen. When they did, the program translation provided words like "HIV", "in the blood", "the immune system", "death" - all the things you would think you’d see around the word AIDS, but down in the corner was this sentence that they didn’t understand and it said - "the end of disease", and that is what I believe is happening here. Science has stated that there are so many people showing up with this new alien DNA that they now believe that a new human race is being born on the earth today and apparently they can’t get sick. Now what is really incredible - they believe that it is a very specific emotional, mental body response - a waveform coming off the body that is causing the DNA to mutate in a certain way. I’ve sat with Gregg Braden who was one of the first persons to write about this and what we believe is that there are 3 parts to this phenomenon. The first part is the mind that sees unity. It sees the Flower of Life. It sees everything interconnected in all ways. It doesn’t see anything as separate. What they don’t know and this is where a lot of research gets to happen is so maybe they are immune, but is there anything else? They might be immortal, who knows. Maybe there are other characteristics that we haven’t even dreamed of. I often wonder if they are all linked together? Is there some form of telepathic connection that goes on? Drunvalo: Well, I’ve known about this for over two years and I have personally followed this path and I think I’ve moved into what they are doing. I have gone into the merkabah and asked my subconscious mind to change my codons in the same way and ever since I began to do this over two years ago, I haven’t been able to get sick. I don’t know if I’ve been able to change them or not. I guess the only way I’d know is with a DNA test. However, I’ve been exposed to all kinds of things and when someone gets sick I purposely get close to them and try to get it. I’ve been trying to get sick - and I can’t. I feel something come on - it will last maybe an hour and then it’s gone. Drunvalo: I think someone has made the path - one child did it somewhere. Then he put it into the grids and it is now in the subconscious of the earth and is accessible to anyone. Once that happened I think somehow or another other people have connected to this on a subconscious level in deep meditation and prayer and made the change. A new race is being born and it is one of the most remarkable phenomenon that has happened on the planet! It’s incredible that no one seems to know about this until now! Drunvalo: Well, I’ve been tracking this for about 2 years and I’ve waited to say anything because I wanted to make sure it was real. 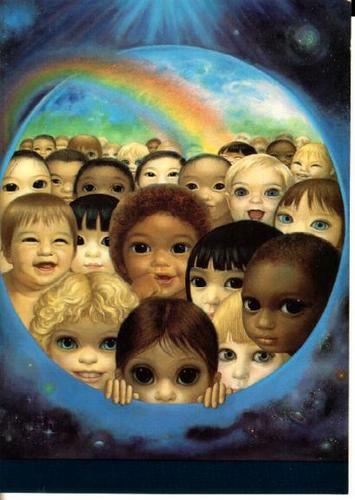 In the book called "The Indigo Children" there has been extensive research on these children. There are websites you can go to if you’re a parent where they begin to interview you about exactly what’s going on with your child. Like I said earlier, these kids know exactly what you’re feeling and what you’re thinking. You can’t hide anything from them. It’s really amazing! I see it as a phenomenon like the ET’s except they aren’t coming here in spaceship form - they are coming here in spirit form making it personal by coming into the earth’s evolutionary cycle and joining with us. I’ve often thought that when spirits come in on the right side of the planet - Japan, China, and Tibet for instance, the incarnating being takes on the psychic characteristics (of those people), and if they come in on the western side - the logical side (i.e., physical characteristics) - then the DNA comes in changed. But that’s just speculation on my part. I’m just looking at this and trying to understand what is occurring. At the workshops I’m going to do in Seattle and Denver in June, I’m going to bring everything I’ve learned together and teach people to actually access this and make the change. I think I know - or I’m very close. Drunvalo: Yes, a very specific state of consciousness produces a change in your DNA - and I think it’s just the beginning of much more than that. The fact that it could be the end of disease is just a tiny bit of the total picture. Drunvalo: Well, if you know your light body and you know how psychic energy works and if you understand the connection of the subconscious to all life on this planet, then you can go in and ask your subconscious. Your subconscious knows exactly which codons those kids have changed and if you ask for those things to happen through your light body and in the presence of God, it should occur. It also requires dropping polarity - no longer thinking in terms of good or bad, but seeing the wholeness and completion and perfection of life. It is a very definite mind, emotional and body response. The body response is the one where your body simply does not acknowledge good or bad, but sees that there is a higher purpose behind it all. We all know this stuff - everyone from Jesus to Krishna to Sai Baba has been talking about this for a long time, but this is the first I’m aware of where something actually is changing in the outer environment. People’s DNA is really changing. Barbara Marciniak talked about going to the 12-strand DNA, and I’ve talked about chromosome changes. There have been many of us who have talked about this - but none of this had been seen by science. Now it has been seen and it has been documented. Drunvalo: Well, I just don’t judge it. This is happening and if it is going to upset the cycle and it probably will in some way - everything that is occurring in life has a reason and purpose for it. Perhaps these people who don’t get sick anymore - perhaps they won’t even die anymore and maybe their consciousness is so aligned with the original purpose of earth that ultimately it would mean an earth that is whole and complete and not one that is polluted and deadly and over taxed. We could easily live with 6 billion people or 20 billion... if... we live differently. There is plenty of space and it’s just that we are using our resources in ways that are killing the planet. If we were to choose to live in different ways, that might change. Maybe through these people the answers might become apparent. For someone to move into a state where they are immune to disease is a very powerful indication that they are definitely in harmony with life somehow. We can equate this process with the mutation of bacteria and viruses. We attack their systems with pollutants such as penicillin for instance, and it kills them all except for a few. Those few get stronger. Now what’s happening is that these bacteria are getting to the place where they are immune to the poisons we are giving them. And have we not done the same thing? We are mutating to a point where we are not affected by pollution or viruses or by disease. And you know, there is another thing that happened last year - AIDS dropped something like 47% - the largest drop of a single disease in the history of the world. I believe that it had a lot to do with this very thing we are talking about. Extremely interesting, but how come nobody talks about this. I haven't read any other articles, nor have I seen scientific sources. It should have been all over the news by now.